It has been a very quiet year for me on the Sefirot front. I have to admit almost all my energy has been channelled towards growing PsyQuation as a business. However this doesn’t mean I haven’t reached major new heights in my goal towards self discovery. In fact this year has been one of my most difficult years dealing with extreme uncertainty. What is interesting is the test of uncertainty brings forward ones quest for faith. The effect of not knowing how the future will turn out forces one to strip back ones ego to feel secure in the knowledge that even if everything one hoped for doesn’t turn out and I am left with nothing, I still left with “ME” and I am learning to accept that isn’t so bad either. If I can summarise the way things have been for me in 2016 on the business front. We have built an incredible software platform and team. However we have failed to communicate our softwares benefits to the trader community and we haven’t solved our business model solution. I believe that even though it has been a tremendously frustrating year and one filled with anxiety it may have been a necessary “evil” to have such a strong foundation to build a truly meaningful company into 2017 and beyond. Onto the markets, 2016 has for me been a continuation of the insanity of a zero interest environment. The low interest rate environment has inflated the stock markets as one could expect for some time as the natural inclination if the banks aren’t paying you any interest is to speculate in the stock market in the search for yield and return. I have slowly reduced exposure to the market throughout the year as I simply could not get constructive on this market because I believe the world economies are sick, they are swimming in a sea of debt that the central banks and governments have not addressed, in fact they have added to the already existing debt problem by creating even more debt. What I continue to learn through each new phase of the market cycles is that nothing behaves in the time frame you anticipate. The economic theories I have subscribed to are still very much in play, it is just understanding the way the mass psychology will react to the information in the short term that will forever evade prognosticators. Please refer to the section below to see how wrong experts got it in build up to the Great Depression. In conclusion I believe the world economies are on the edge of a precipice and in fact the political stability of the world seems to be echoing the economic instability. The future is looking very unpleasant. I think we are due to experience economic and political pain that we have not experienced in many decades. 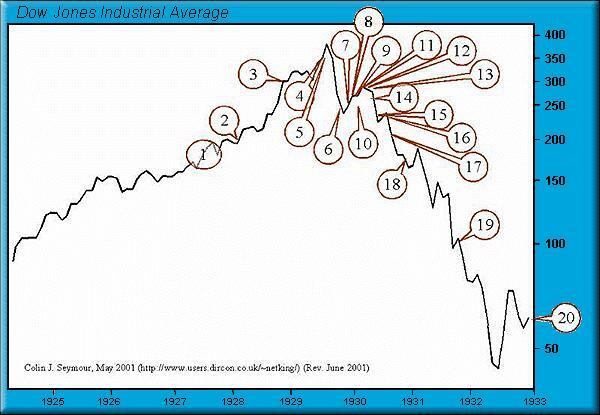 The GFC was just a precursor. The psychic energy of too easy needs to be balanced with too hard, so this phase of easy money will need to swing to a point where people can no longer withdraw “equity” out of their home mortgage. Sorry folks the BEARman is as bearish as ever. Clearly we haven’t achieved the same $ & % profits but this has never been the goal of this fund. Despite people thinking I am a risk taker the truth is the complete opposite. Here is a post from someone else illustrating my point how experts may know a lot about their field but when it comes to timing the markets there are no experts. It has been some time since we have done anything to the portfolio. We will buy 75 SPY @ the market open on 21 Jan. The portfolio is doing really well having side-stepped the latest bout of volatility. We have no plan on getting too constructive on the portfolio. However, given the recent selloff there is some scope for a bounce of some nature to develop. Reminder: the funds goal is to outperform the S&P500 on a risk adjusted basis.